In 1921, a clever French businesswoman and belle of the Parisian social elite created a scent that revolutionised the way women smell. 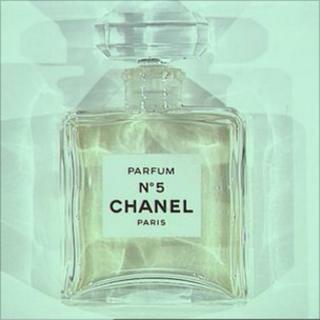 Ninety years later Chanel No 5 is arguably still the world's most iconic perfume. With a healthy disregard for social etiquette and a retinue of friends and admirers among the city's "racy" women, couturier Coco Chanel traversed the boundaries between lady and mistress. By the beginning of the twenties Chanel was already a phenomenon in French fashion circles. She had come to Paris as the mistress of the textile baron Etienne Balsan in 1909 and set up a millinery boutique under Balsan's apartment. By 1921, she had a series of successful boutiques in Paris, Deauville and Biarritz, she owned a villa in the south of France and drove around in her own blue Rolls Royce. Now she wanted to create a scent that could describe the new, modern woman she epitomised. But Chanel's background was troubled and complex, and it was something that seeped into her trademark fragrance. She was the daughter of a market-stall holder and a laundry woman in rural France, but when her mother died she was sent to a Cistercian convent at Aubazine where she spent her teenage years. The smell of soap and freshly scrubbed skin was something that stuck with her for years after. She was fastidiously clean and later when she worked among the mistresses of the rich she complained about the way they smelled, stinking of musk and body odour. When she decided to commission a perfume for her best clients - a new trend among fashion houses - it was important that it imbue this freshness. But she had trouble finding a perfumer who could achieve this. "The grail in perfumerie has always been to create very fresh fragrances that last," says Frederic Malle, perfume editor and professional "nose". "In those days the only way to create fresh fragrances was to use citrus such as lemon, bergamot and orange. These things are very fresh and very charming but they don't last on the skin." At the time, chemists had already isolated chemicals called aldehydes which could artificially create these smell. But they were extraordinarily powerful so perfumers were hesitant to use them. During the late summer of 1920 Chanel went on holiday on the Cote d'Azur with her lover the Grand Duke Dimtri Pavlovich. There she learned of a perfumer, a sophisticated and well-read character called Ernest Beaux who had worked for the Russian royal family and lived close by in Grasse, the centre of the perfume industry. Beaux was a curious and daring craftsman and took up Chanel's challenge. They were numbered one to five and 20 to 24. She picked number five. It is rumoured that the concoction was actually the result of a laboratory mistake. Beaux's assistant had added a dose of aldehyde in a quantity never used before. Tilar Mazzeo, author of The Secret of Chanel No 5, told the World Service's Witness programme why the fragrance grabbed Chanel. "The interesting thing about aldehydes is that one of them smells like soap. "So she could balance in her own mind, her childhood in a convent and then this luxurious life as a mistress." Chanel later said, "It was what I was waiting for. A perfume like nothing else. A woman's perfume, with the scent of a woman." The scent, imbued with jasmine, rose, sandalwood and vanilla, was an instant success, partly due to some of Coco's ingenious marketing tricks. She invited Beaux and friends to a popular upmarket restaurant on the Riviera to celebrate and decided to spray the perfume around the table. Each woman that passed stopped and asked what the fragrance was and where it came from. "For Chanel this was the moment that confirmed for her that it was going to be a revolutionary perfume," says Mazzeo. "That was the first moment that anybody in the public smelled Chanel No 5 and it literally stopped them in their tracks. "That moment consumers were smelling something they had never smelled before, it was an intervention in the history of perfume."